Fianna Fáil Senator Paschal Mooney has today hailed the RTE decision to retain the Long Wave 252 service until 2017 as a ‘‘great moral victory for the Irish abroad’’. 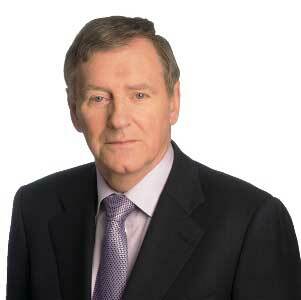 Senator Pascal Mooney, Fianna Fail. Senator Mooney, a member of the Oireachtas Joint Committee on Transport and Communications said, “I have constantly raised this issue and applaud the RTÉ Authority decision to extend the service until 2017. I also welcome the decision of the Department of Foreign Affairs to work with RTÉ to commission a scientific research survey to understand the community in the UK who listen to the long wave service. The research will be carried out next year. “I commend Sally Mulready of the Irish Council of State and the Northern Ireland Executive who have highlighted the need for this research,” concluded Senator Mooney.